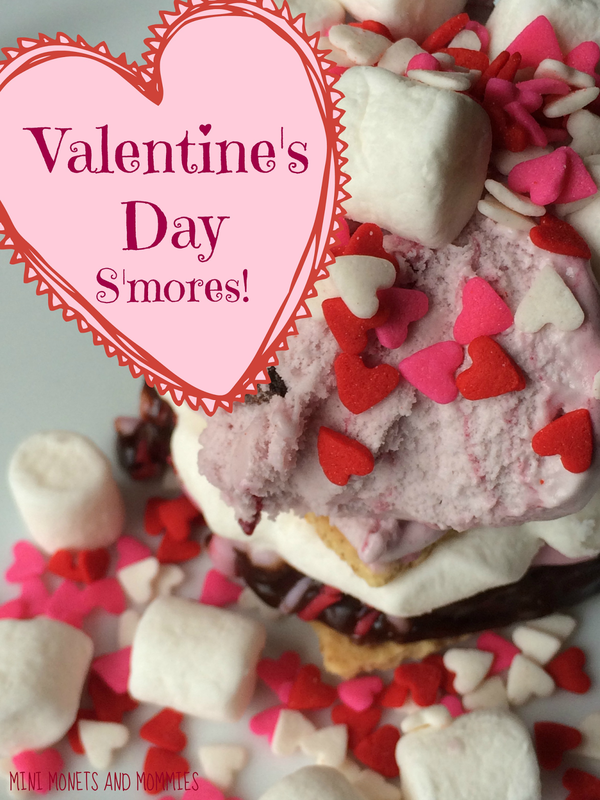 Valentine’s Day s’mores are super-simple Holiday treats that the whole family will enjoy. Admittedly, I’m not the best baker. 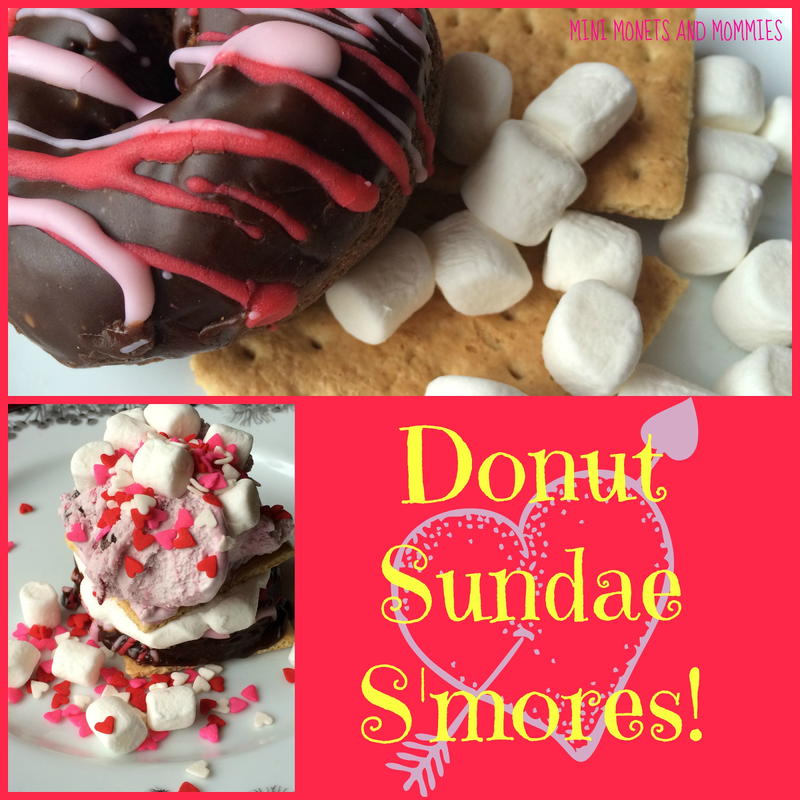 So, smooshing together a stack of chocolate and marshmallows between two graham crackers sounds pretty good to me. That said, I absolutely adore dressing the tasty treats up. I’ve made all kinds of holiday s’mores. There were monster Halloween sweets, pink princess sparkle birthday treats and marshmallow peeps Valentines versions. Then there was the Christmas morning donut s’more sundae (my family has a Christmas Day donut tradition). Those ooey, gooey desserts were so good that I decided, why not make them again? This time with a Valentine’s Day twist! · 1 chocolate donut – I chose one a frosted cake one (the smell of the warm, melty chocolate frosting was enough to make my knees weak). · Pink, purple or red ice cream – I wanted to go with strawberry, but strangely – the grocery store was completely sold out. I opted for raspberry chocolate, and it was amazing. 1. Cut the donut in half – like you’re slicing a bagel or sandwich roll. 2. Stack the top half of the donut and a handful of mini marshmallows on one graham cracker. 3. Pop the stack into the microwave for 20 seconds. Microwaves vary in strength, so you may need more or less time to melt the marshmallows. Don’t touch or eat the marshmallows when they are hot out of the microwave. 4. Add another graham cracker on top. 5. Spoon a scoop of ice cream on the graham. 6. 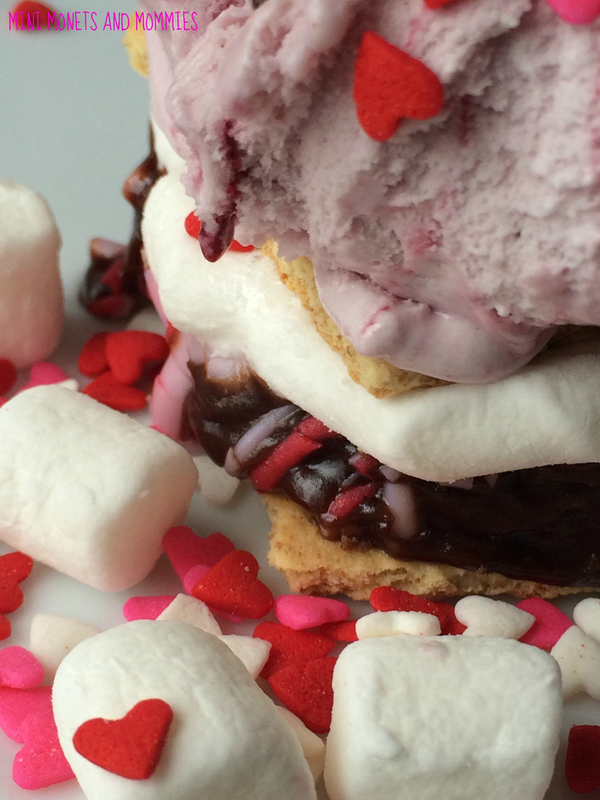 Top the Valentine’s Day s’more sundae with a few more mii marshmallows and sprinkles. Are you looking for more Valentine’s Day treats? Follow my Pinterest board for ideas! Thanks! It was super sweet. I think one will do though. My kids would go nuts over this! Thanks for linking up with the Creative Spark Link Party! This looks decadent and like an amazing treat! Wow! Pinned. :) Thanks for visiting and linking up to the party "In the Kids' Kitchen!" Please come again. Thanks! It was quite decadent!